1. Films must have been completed during 2010, 2011 or 2012. All non-selected films in previous editions cannot compete. 2. Genre, plot and shooting format are free (submission of fiction short movies, documentaries or musical comedy… are allow), however, and in regards to the film’s content any short film competing must fulfill the regulation established in the following regulation 3. 3. 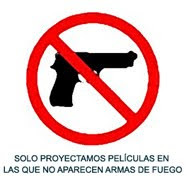 Films showing firearms will not be selected in any case for the Festival. The organization team has decided to include this limitation as a small gesture in favour of a culture of peace, with the conviction that there is an excessive role of firearms in contemporary audiovisual discourses. 4. Films must be submitted on DVD PAL (please test before sending). Films must not exceed 16 minutes (credits included) in length. Non-Spanish language films must have Spanish subtitles or no dialogue. 5. The deadline for reception of films is May 18, 2011 (date of postmark) at the latest. If the film do not arrive within the reasonable period for the organizers to view it, the submission will not be considered complete and the film will not be taken into account for selection. 7. You may include along with the film’s DVD PAL, its technical data and a brief synopsis. A contact telephone number and an email address are also required. ………………………………………………. 8. The festival’s organisation team will select the short films to be included in the films screening sessions of the Festival. 9. A jury composed of persons involved in Seville’s culture will decided The Best Short Film Award ‘Por Caracoles’. 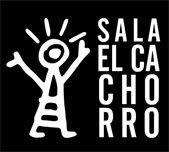 This Award will have a cash reward that will be the result of the sales of snails’ tapas made by Sala El Cachorro during the screening sessions (deducting the cost of all raw materials needed to cook the snails’ tapas). 10. There will be other two awards: The Snail of the Audience Award (El Caracol del Público), which is based solely on audience voting at the film's screening sessions. The other award is The Homeland Snail Award (El Caracol de la Tierra), which will be decided by a jury, awarding the best film produced by film-production companies based in Seville province and/or made by filmmakers who were born or are living in Seville). These two awards will not have any cash compensation but a handmade trophy crafted of Tirana’s traditional pottery. If the winner of The Best Short Film Award ‘Por Caracoles’ will turn out to be a Sevillian produced short film, this awarded film will not be awarded with The Homeland Snail Award, in this case, another short film produced in Seville will be awarded with this last award as a consolation prize. 11. The festival’s organisation team is committed to communicate by phone or email to each of the persons responsible for the films selected for the festival’s screening sessions. All films submitted by their author will become part of the film library of Cámara Lenta Cultural Association. 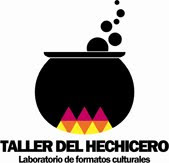 Cámara Lenta will be entitled to screen any of these films within the activities this association conducts. Cámara Lenta is committed to communicate to any author or distributor about the screening of their film. Camara Lenta guarantees that in no event will screen these films for commercial purposes. 12. Participation in the Festival implies acceptance without reservation of all the terms outlined in the present regulations.